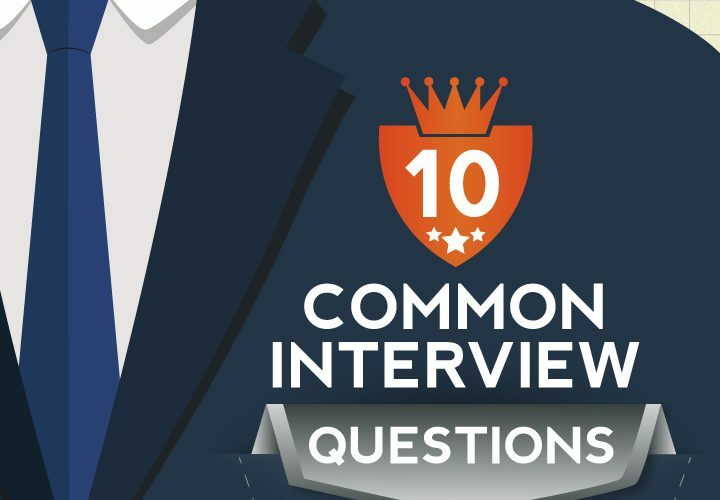 Cite this article as: Shraddha Bajracharya, "10 Common Interview Questions and Answers," in Businesstopia, January 6, 2018, https://www.businesstopia.net/human-resource/common-interview-questions-answers. It’s a matter of joy if you are being called up for a job interview and it’s a lot scary as well thinking about the type of questions you are going to face. But wait! You don’t need to panic about it. With a little preparation and self-confidence, you can just nail your job interview. Here you can find some frequently asked job interview questions and guides to answer them. This is the most common question asked by the interviewer, yet it is the trickiest one too. Remember! This is a tricky question because what the interviewer is expecting to hear from you is completely different from what you are going to answer. You might be planning to give an overview on who you are, where you grew and what your hobbies are but the interviewer is actually intending to hear what you are professionally. So all you need to do is tell the interviewer is who you are, giving them brief description about what jobs you have done previously, emphasizing more on your recent job. Don’t forget to keep your personal life out of it, unless the interviewer asks about it. 2. What do you know about this organization? When the interviewer asks you this question, he does not want you to tell each and every detail about the company like when the company was established, how many staffs are employed there, etc. They are basically looking for your general view about the company and would be glad if you could state some recent news about the company or just a line regarding what the company is best known for. Make sure you do a little research about the company to be confident to answer this question. It might be momentarily awkward when someone asks you to tell about what you can do. But since you are telling your strength to a job interviewer you must not feel awkward or nervous. Don’t sound boastful and answer naturally, making gestures of confidence like sitting up straight, leaning a little toward the listener, having an extended eye contact with a bit of smile. Regarding what answers to give, always prepare ahead of time. Compare the job description and your resume side by side and sort out which work you have done in the past would shine as your strength for the job you are applying to. It would be much more impressive if you describe your strength in a brief story. Telling someone your weaknesses is even harder than telling your strengths but it’s a given, every second interviewer would ask you your weaknesses. Actually, there is no particular reason why interviewers ask this question and there’s no point stressing on it. But what you can do is assume that the interviewer is intending to know how you manage your weaknesses and your answer might help them in knowing what kind of employee you were or you will be in future. When you are asked your weaknesses, it is not necessary that you need to describe a problem that exists; you can choose to say about something that you have already overcome. For example, you can begin like “I had stage fright and I feared speaking in public”. Then you can add “but then I went into training and now I enjoy public speaking.” In this context, interviewer will focus on strength, i.e. you are a positive learner. And yes, speak the truth. The question “Why do you want to work with for us?” is different than “Why should we hire you?” and make sure that your answers to these questions are not jumbled up. However, the way you answer to this question should still leave an impression on the interviewer that you are exactly the type of employee that they are planning to hire. So what does an interviewer like to hear from you as an answer to this question? Don’t start explaining in a typical way like “This is what I have been dreaming all my life.” or “This is a great company and I would love to work here.” You can just explain how working with the company would help you in meeting your career goals. As mentioned earlier, this question is different than “Why do you want to work for us?” and you should be careful while answering. When the interviewer asks this question, he is trying to know how you are fit for the company and their needs. So you must highlight on things that you can do for the company that no other could do. It is an opportunity for you to address your skills and strengths which have not been mentioned before. Again, you should not brag and give a professional answer. You can give reference about your past jobs and achievements. It is a reasonable question and interviewer is more likely to ask you this question because anyone would be eager to know what made you have second thoughts regarding your current job. Interviewers also ask this question to know how much responsible, faithful and loyal you can stay with their company. One thing that you should always remember while answering this question is you should never defame your previous employers. You should always prepare ahead of time and remember, no ranting and raving about your previous employers. You may leave your job for two basic reasons; #1 you are disinterested to work with the company anymore and #2 you were fired. Whatever your reason is, don’t get nervous or overwhelmed by the question and don’t overexpress too. Here are some tips that might help you in drafting your answer in case you left the job. It is obviously heart wrenching to get fired whether it is because of your own fault or just randomly. But don’t be upset and don’t lose hope. While many of us regard termination as career stopper, we fail to take it as an opportunity. On a job interview, if you are asked why you were fired, you should try to answer as honestly as possible. Although you were fired due to your mistake you can leave positive impression on your interviewer by stating what you have learnt from your mistake and that you will never repeat such mistakes again. 8. Have you ever had to bend the company’s rules to achieve a goal? This is also a tricky question that every second interviewer may ask you. Beware! This is a trap and your answer might get you rejected no matter how much good your answers were so far. If an interviewer asks you this question, his only intention is to know your ethics. So don’t ever commit a blunder by answering positively to this question because policies are not meant to be broken under any circumstances. It is because company can lose its hard earned reputation if found guilty of violating rules. 9. How much salary are you expecting? Who would not be happy to get paid more? But remember, you are paid by your employers and all employers will try to offer as less as possible. That is why, it’s always better to rehearse from home regarding the answer you will be giving to this question. As homework, all you need to do is do a little research; online or offline. If you are making enquiry online, you can google market rate for (concerned job) and have an idea of how much money can you demand. Similarly, you can also ask in person, if you know anyone who is already posted on the job. Once you keep in mind the specific figure, you can go for it with confidence. Again, show some flexibility and feel free to negotiate. Show that you are looking forward more to career advancement rather than high payment if you are fresh graduate or junior employee. If you are new to interviewing, don’t get surprised when you are asked “Do you have any questions?” because almost all interviewers end an interview with this question. Don’t hesitate and ask questions because your response defines what kind of person you are. You can feel free to ask question regarding office’s culture, working hours, etc. You can even ask when you will get to hear from them. But, never ask questions like “When would you like me to join the office?” or “How much will I be paid?” as these questions have possibilities to spoil your interview.